Luanda is one of the oldest cities on the continent of Africa and is celebrating its 434th birthday on Saturday afternoon, January 30th. 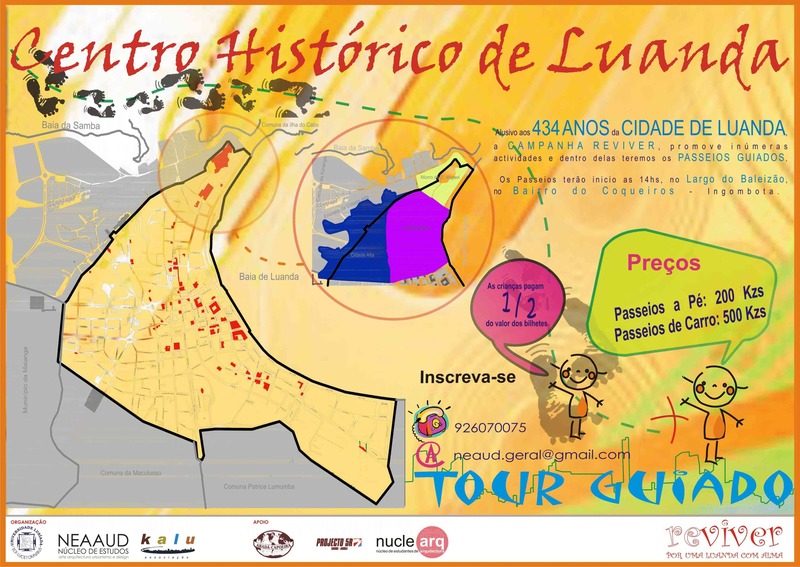 The Angola Field Group has been invited to attend the Celebration of the City of Luanda Day! being held downtown at Largo do Baleizão, the square in front of Hotel Continental, beginning at 2:00 and running to 8:00 PM. Festivities include live music, a photo exhibition, capoeira demonstration, food stalls, carnival dancing, and a bus tour in English of the historic city for field group participants, 500 kwanzas. The tour will begin at approximately 3:00, (time subject to change). You must register in advance at the registration booth (located in small tent) but space is limited so first come first served. You can also book in advance by emailing neaud.geral@gmail.com. Walking tours and bus tours in Portuguese of the historic city are also available. All tours will be accompanied by knowledgeable guides. 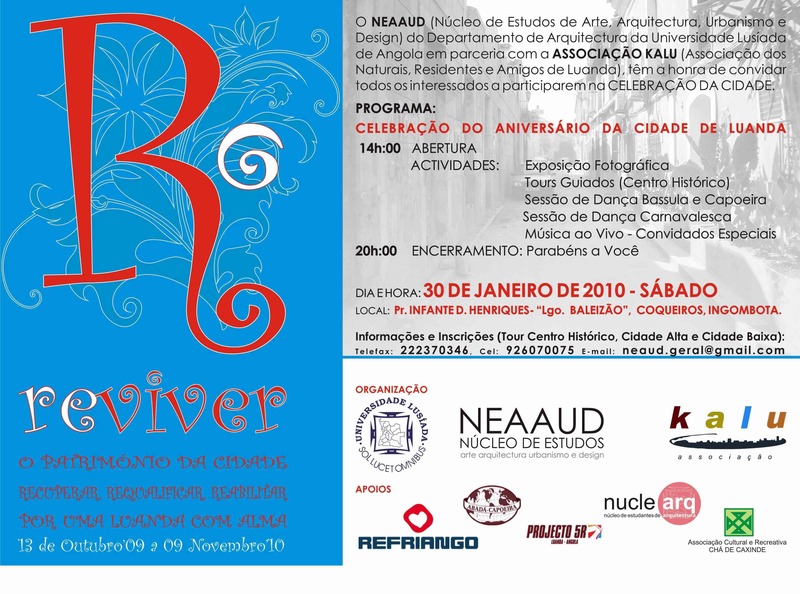 The festival hopes to raise awareness of the need to preserve Luanda’s cultural heritage and is part of the movement Campanha Reviver, por uma Cidade com Alma, (Revitalize Luanda, keep the Soul in our City), organized by KALU, the Association of Native Luandans, Residents and Friends as well as NEAAUD, the Centre for the Study of Art, Architecture, Urbanism and Design at Lusídas University. This will be a fun festival lasting till 8:00 in the evening so drop by at any time! Festival T-shirts for sale. Click on the two posters to view them in full size version.